I'm Alg. You probably know that already though. Or you didn't and are now curious. Either way, here's the intro. In reality, I'm a 20 year old Californian college student who has no idea what to do with life. I read, write, draw, and have been occasionally known to play videogames. My gaming tends to revolve around RPGs and fantasy, which is the genre I tend to read as well (Currently Robert Jordan's Wheel of Time series - The Dragon Reborn). The rest of this thread will be devoted to ego massaging. 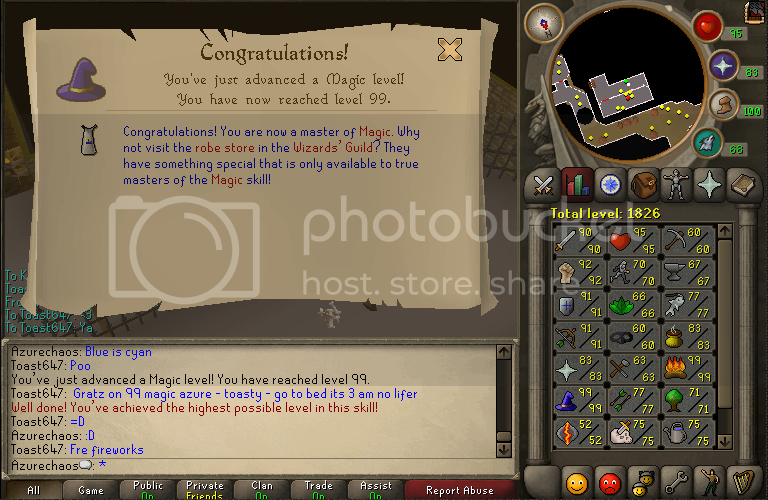 -What was your first 99? No 99s yet. -Do you consider yourself a skiller? Yes. -What irl song reminds you of Runescape? Power Metal. Yes, the whole genre. 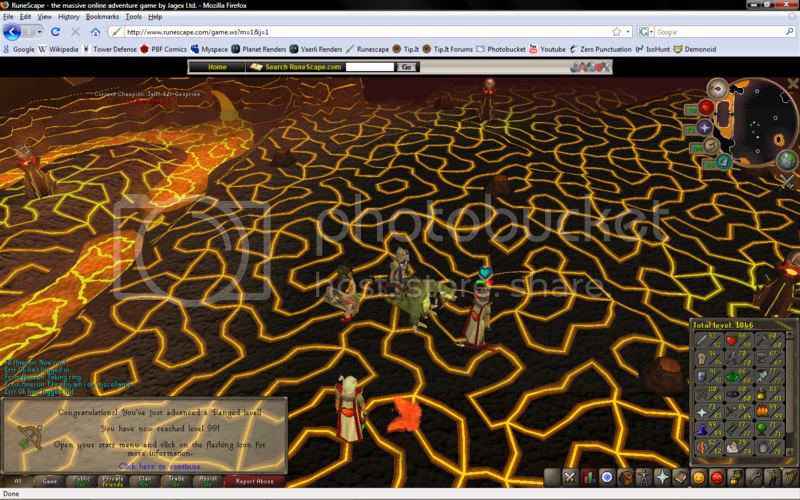 -Have you ever made a RS video for youtube/google? No. -Whose your most inspiring person to you on runescape? -IF you never join TIF, would you be where you are today? Probably not. -Who has donated the most to you? -Best day to play runescape? Wednesday, maybe. -Do you own a fire cape? No. -Favorite CB skill? Attack, Magic. -How long have you been members? 3.5 years? -Do you see quitting in the next 2 years? Probably not. I'm not leaving until I can take a few capes with me . -Who do you talk to the most on Runescape? Whoever speaks to me. -Do you go to alot of 99 parties? Yes. -What do you like most about your POH? It's home. What's not to like? -Do/Did you enjoy doing most quest? YES. -What difficulty do you like in a quest? Challenging. Preferably mentally. -Whose been the most helpful person on tip.it? -Do you listen to Runescape's music?Sometimes. -What skills the easiest for you? Fishing. -Whats the worst feeling you can feel? Knowing you've become what you hate. 10\10, When I hit my two year mark, I was like lvl 50. Umm..I havnt played for 2 years yet, so I cant rate, sry. It's impossible to make a good rate of something you havnt even experienced yourself. But if I COULD, I wouldnt rate to high, sry. I would rate you high for having a life, thought...since this is me after only a year and a half..
Because organization is worthwhile in 9 out of every 10 threads. irrelevant, but the best game ever. a friend after getting 70 defence... at 78 combat. Too funny to leave unsiggied. 9/10 stats for having a life. +1 when you try to make some money cause for 2 years...cmon dude even at 30 mins a day or less your lacking in serious funds. lol same here buying life 100gp! !..i've been playing less then a year on this account..and almost one year in total. 9/10 for having a life 3/10 if lives aren't involved. Thats great. 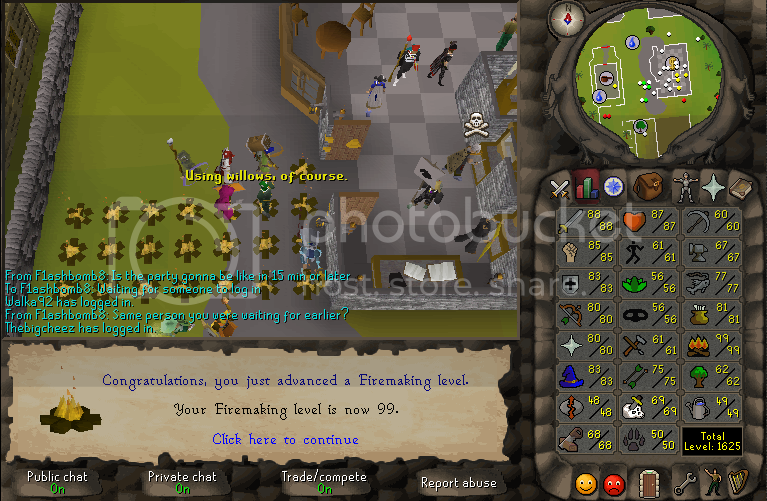 Ive played this game on and off since 03, so thats a good accomplishment. as for me having a life...i play quite a bit, my time is just spent without doing anything productive. lol, ive played for slightly over 2 years, and my stats are roughly similar. not everyone is a bigshot who can get all their stats 80+ in a year or so. work on your range please? Omg? You a no lifer? I hatez no lifers. I'm still pretty mad that you maced me Phi when I went to your house. A Local Guy, post some goals. 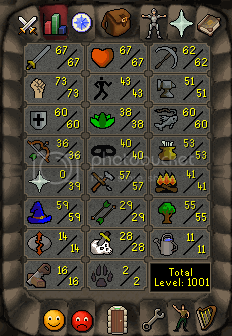 If you play RS for fun, 10000/10. If you play only to level and get money I'd have to give you 4/10. work at your own pace and the cash and stats will come. semi-retired as i am the lastest victim of computer crack! I just recently hit my 2-year mark. Started the day after rubber chickens came out. 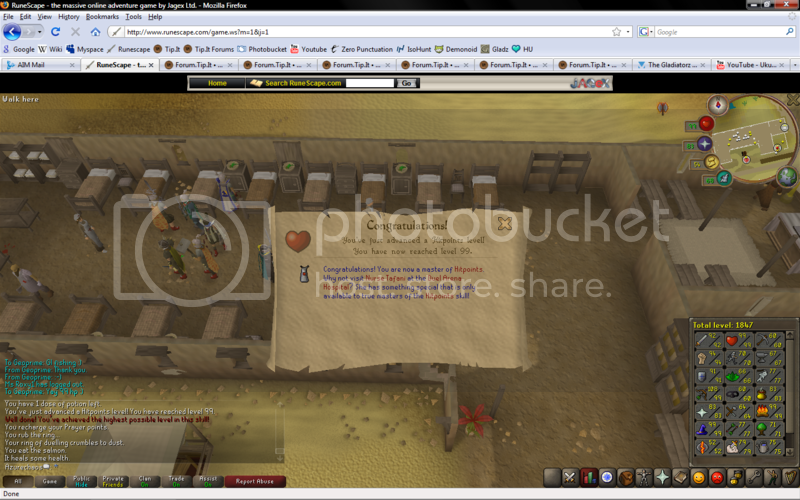 People were trying to sell me regular chickens for 300 gp ea.